Now that it is officially Fall, it's time to bust out the boots and booties! Here are my favorite pairs of boots that currently own. I've had these boots for almost 5 years now. They are definitely an investment, but one that will last a lifetime. I first saw these boots when I was a teenager in a magazine. I was flipping through the pages and saw that Rachel Bilson was wearing a pair. This is no joke, back in like 2007 when the OC was still on TV. They're expensive and as an 18 year old, I definitely could not afford them. Five years later, back in 2012, I finally was able to [barely] afford them and bought them. They only get better and better with time. I bought leather conditioner to help keep the leather nice, especially after wearing them in rain or snow. They are worth every penny and I look forward to wearing them for years and years to come. I know I've saved money by not buying cheaper boots these past five years. Two years ago, I was about to travel to Park City, Utah for work and knew I needed a pair of boots that would keep my feet warm and provide traction on snow/ice. The iconic LL Bean Boot was sold out everywhere, so I opted for these. They are so comfortable and warm! 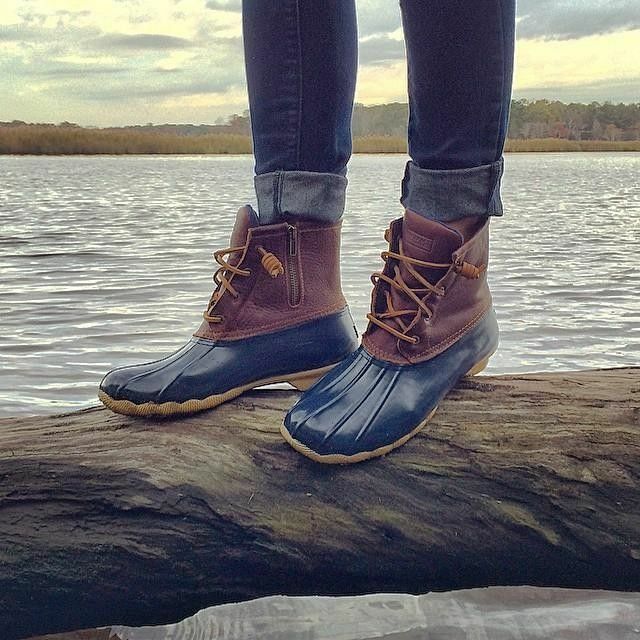 What I really love about them more than the Bean Boot is that the Saltwater Duck Boot has a zipper on the side. It makes them so much easier to take on and off. You also don't have to worry about tying the laces. Both of those features are serious game-changers. Who doesn't love a good wedge?—especially when it comes in bootie form. These boots are so chic. I have them in the taupe color and wear them with everything. I can't tell you how many times I get complimented on them. What's even better is that TOMS is a charitable organization. For every shoe purchased, they donate a pair to a child in need. You can look cute and make a difference! This is my newest boot purchase. I saw these during the Nordstrom Anniversary sale from a blogger that I follow on Instagram. I fell in love with them and had to have them. I have the black pair, but I also really love the Almafi Blue and Taupe color. What I love most about these boots is that you can wear them two different ways. It's literally like having two pairs of shoes in one. It can be worn as a mule slide-on, or as an ankle boot. They are a super soft suede material and are incredibly comfortable. I love that they can be easily dressed up or dressed down. I wear them every chance that I get, and always receive compliments and always have people asking me where I got them. I feel so trendy and cool when I wear them. Definitely worth every penny since they are a little bit on the pricier side. Comment with your perfume suggestions to help me find my signature scent! Sometimes you gotta treat yo'self. Six recent purchases that I'm obsessed with and highly recommend.